It might be counterintuitive, but startup creation is down, and it will take a progressive agenda to get entrepreneurship going in America again. Contrary to the conventional wisdom echoed for years by business industry associations, the greatest barriers to American entrepreneurship – and therefore, job creation, are related to solving structural challenges around quality health care, the student loan crisis, access to capital and bankruptcy regulations. While tax cuts and reduced regulation can be important to specific industries and companies, of specific sizes at a given time, they are not the factors that have reduced entrepreneurship in America over the last forty years. 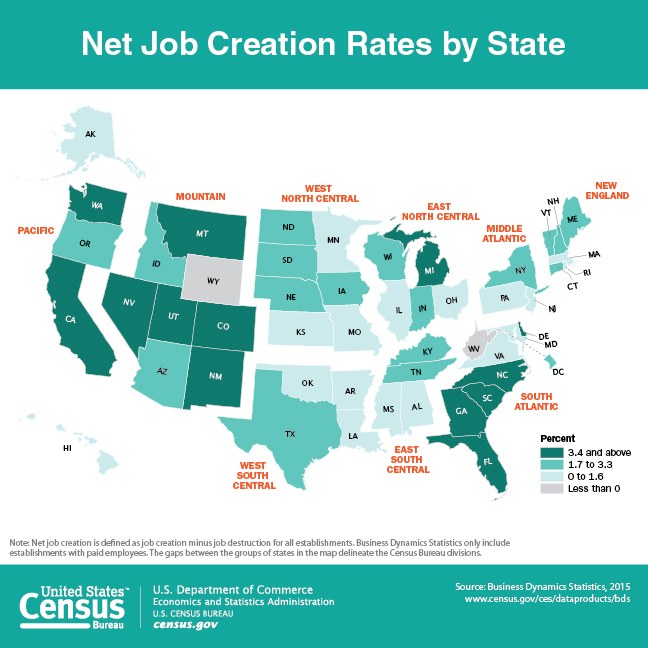 According to multiple studies, including a longitudinal study by the US Census Bureau that looked at employment data from 1980 – 2009, young businesses are responsible for the majority of net job creation in the United States economy. In addition, high-impact businesses, defined as those that have doubled sales and employment growth over a given four-year period, have accounted for nearly all employment growth in the US economy between 1994-2008. Most startups in tech, biotech and other areas fall into the category of high-impact. At the same time, the share of young companies in the United States – those less than one year old, has declined by nearly 50% – from 15% of all companies in 1980 to only 8% in 2015, the last year for which the US Census Bureau has released full statistics. If American jobs are created by high-impact startups, but there are half as many startups as before, then what is going on? There are many explanations, but a lot of them surround the fact that the rapidly growing, job-creating high-impact startups tend to be based in the East and West Coasts, where capital and technical talent are heavily concentrated. If 70% of the investors in high-impact companies remains in California, Massachusetts and New York, its not a surprise that the job creation is also happening disproportionately in those places. In the last few weeks, candidates for the 2020 Presidential election have put forth many ideas for spurring economic growth and reducing inequality. Some of the better-known ideas include AOC’s “Green New Deal”, Senator Elizabeth Warren’s plan to break up big technology firms, and President Trump’s pressure on China to reform technology transfer and protect American intellectual property. But as the data shows, spurring entrepreneurship, particularly away from the Coasts, may be one of the most effective policy tools we have for economic development and job creation over the next decade. Instead of a race to the bottom to get Amazon’s HQ2, or a “promise” of 13,000 jobs from Foxconn, let’s systematically remove the impediments that are keeping our most talented innovators and leaders from starting high-growth companies. For starters, we need to address the student loan crisis in America. According to research by the Federal Reserve, the percentage of Americans under 30 who own their own business has fallen by 65% since the 1980’s. And while 60% of Millennial’s consider themselves entrepreneurs, 43% of them believe that student loan debt is hampering their career choices, and 25% have delayed starting their businesses because of the debt load they carry upon graduation. The student loan crisis is keeping many of America’s best minds on the sidelines in secure jobs rather than launching the next great American startup. Another group of entrepreneurs on the sidelines are those concerned about health insurance and access to affordable health care. The Affordable Care Act, through the creation of exchanges, solved the primary problem facing entrepreneurs by delinking health insurance and employment. This was particularly important for two sets of entrepreneurs – those that need health insurance before they make the leap because of familial obligations, and those later-stage entrepreneurs whose ability to recruit new employees and grow depends on their ability to offer affordable health care. Protecting the ACA’s exchange model and expanding access to quality health care are progressive causes that are also critical to America’s small businesses and entrepreneurs. A third area of surprising intersection between progressives and entrepreneurs is to roll-back some parts of the 2005 Bankruptcy legislation (BAPCPA). According to the Kaufman Foundation, nearly 20% of the individuals filing for bankruptcy are small business owners. Another significant percentage are successful entrepreneurs who faced sudden market changes and were forced into bankruptcy. In addition, research by the Harvard Rock Center for Entrepreneurship shows that nearly 75% of startups fail – either because of market conditions or because they are developing high-risk technologies that don’t work. While its hard to pull all these data points together, it appears that as many one third of bankruptcy filings in America may be by those very people we depend on to develop new technologies and build the high-impact companies of tomorrow. Progressives like Senator Warren have traditionally wanted strong bankruptcy laws in order to protect the poor and middle class from predatory lenders, but in this case, their efforts will also greatly benefit young companies and small businesses. The fourth pillar of a progressive agenda for job-creation surrounds access to capital – and greater access to debt, specifically. Even with great advances in credit scoring and AI to evaluate borrowers, and the availability of alternative forms of crowd-sourced capital, small businesses struggle to raise more than a few hundred thousand dollars in their early years. Indeed, nearly 81% of entrepreneurs don’t access bank loans or venture capital. We also know that historically, lenders and investors have shown bias against entrepreneurs who are women, African-American or Hispanic. After the Great Recession of 2008, some estimated that bank lending dropped by as much as 40-60%. 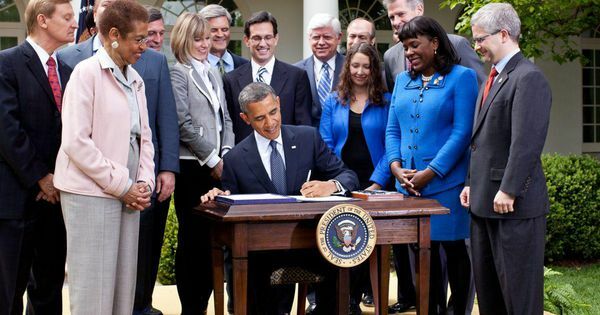 The rapid, bipartisan passage of the 2012 JOBS Act by President Obama and a Republican Congress that legalized crowd funding speaks to the importance of federal legislation to unlock capital when markets won’t. To summarize – entrepreneurs start high-impact companies. High-impact companies create a large number of American jobs. If we want to see those innovation-driven jobs stay in America over the next generation, we must start by making it easier for entrepreneurs to take the leap, to grow their companies and take risks that more often than not, have changed our society for the better. Fortunately, the steps we must take are already part of the progressive agenda.